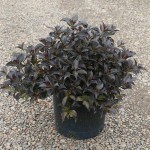 A compact shrub with dark bronze foliage and dark pink flowers in late spring. 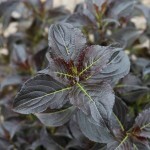 It prefers moist, well-drained soil, but will take drought once established. It attracts hummingbirds. Prune to shape immediately after flowering if required.